A water maiden answers prayers for the blessing of rain. Dimensions: (WxH) 11"x17" - Unframed Medium: Colored Pencil (Prismacolor) and Ink Created: 2015 Original has been SOLD! 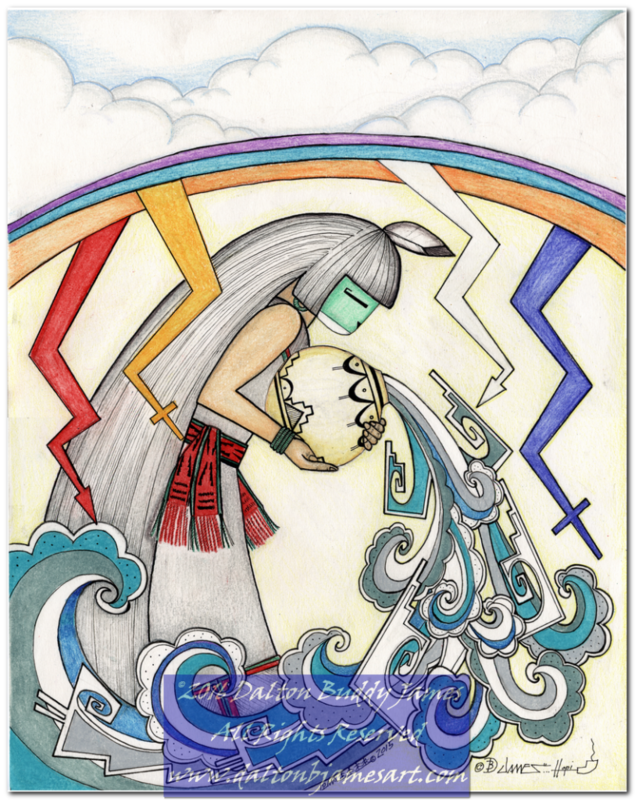 A sacred Hopi pipe sends prayers for the blessing of rain. 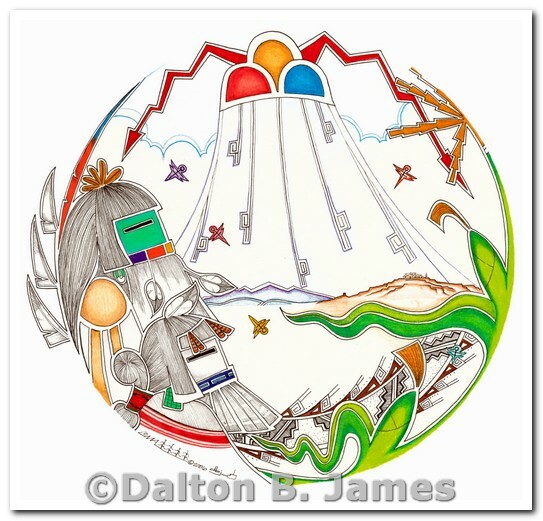 Dimensions: (11Wx17H) - Unframed Medium: Colored Pencil (Prismacolor) and Ink Created: 2009 Item is for sale. Unframed Original $375 + Shipping & Handling. A longhair kachina and kachin'mana kachina gaze towards the Hopi mesas as rain falls. Medium: Colored Pencil (Prismacolor and Ink) (WxH) 20in. x 20 in. 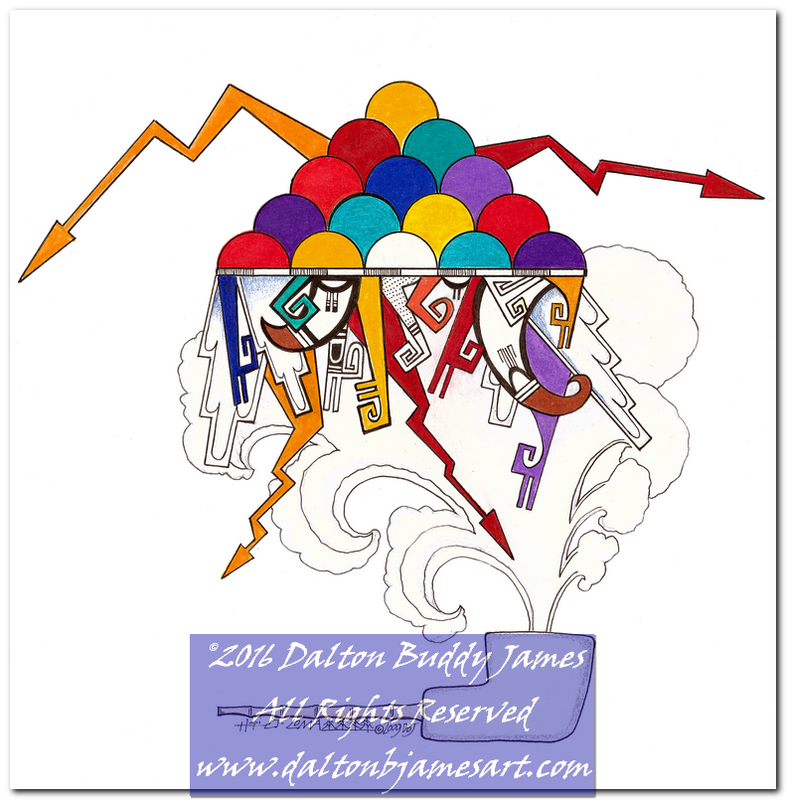 CREATED: 2013 The original piece has been professionally matted and framed. $1080 +shipping and handling. "Parrot Energy" depicts two stylized parrots bringing warmth to a tray of seeds (circle in center) to encourage germination and a bountiful crop. 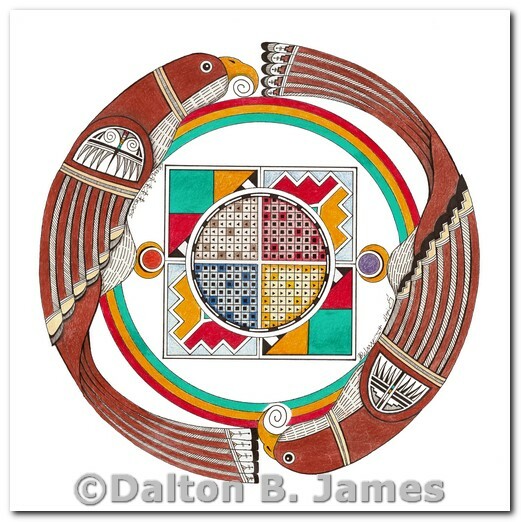 MEDIUM: Mixed (Colored Pencil and Ink) DIMENSIONS: (WxH) 18in. x 18 in. CREATED: 2009 Original is not for sale. 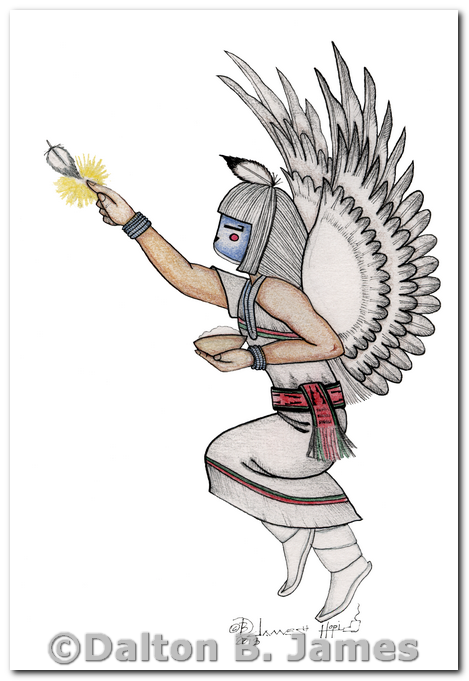 A Hopi Angel blesses a prayer. MEDIUM: Mixed (Watercolor and Ink) DIMENSIONS: (WxH) 6in. x 9 in. CREATED: 2013 Original is not for sale. For prints, posters and more visit my Fine Art America site here. All products are 100% guaranteed so order with confidence.